Ireland’s reception system for asylum seekers is known as Direct Provision. The Direct Provision system has been an important focus of our advocacy & campaigning work since the year 2000. The current system of accommodating international protection applicants in Ireland is commonly known as Direct Provision. People are accommodated in residential institutions known as Direct Provision centres across the country, with almost 40 centres currently in operation. Seven of the centres are State-owned but the majority of the centres are managed on a for-profit basis by private contractors. Direct Provision is intended to provide for the basic needs of asylum seekers as their applications for international protection are being processed. The system was designed as a short-term measure but many applicants experience lengthy stays, which is associated with declining physical and mental health, self-esteem and skills. Privacy & overcrowded living conditions: Residents live in shared accommodation, with single adults sharing rooms with up to eight people of different backgrounds and nationalities. Isolated locations: Some centres are located in rural areas, with limited transport options and support services. Length of time: The average length of stay in Direct Provision is 24 months, with some residents having spent up to 10 or 12 years living in these conditions. Food: Three meals are provided at set times each day; limited cooking facilities available in a small number of centres. Poverty: An allowance of €21.60 is provided on a weekly basis. Education: Limited access to further & higher education. Employment: Until February 2018, asylum seekers had no right to work in Ireland – unlike most EU member states. Standards & monitoring: The living conditions vary widely from centre to centre. There is little trust in the RIA complaints procedure & limited publicly accessible information on complaints or transfer decisions. The existing inspection system focusses on health & safety issues and does not consider the social or emotional needs of residents. Profit: The majority of Direct Provision centres are managed by private contractors on a for-profit basis, on behalf of the State. Health: Physical and mental health issues among residents are very common. Asylum seekers are 5 times more likely to experience mental health issues and psychiatric conditions. Children & family life: 30% of Direct Provision residents are children. Children have been born and raised living in these conditions, the long-term developmental effects of which are still unknown. There are approximately 6,000 people living in almost 40 Direct Provision centres across Ireland, including over 1,500 children. In the Limerick region, there are approximately 450 people living in three Direct Provision centres. Doras believe that the current system creates barriers to integration, contributes to poor health and results in social exclusion. A number of Direct Provision centres are in isolated locations with limited transport options. Despite recent progress, the majority of people living in Direct Provision centres still have no right to work, to access higher education or to cook for themselves. Doras continue to advocate for the establishment of an alternative reception system that is based on human rights principles and the best interest of the child. A Supreme Court judgement on a case taken in 2017 found Ireland’s complete ban on employment for asylum seeker’s to be unconstitutional (read more here). In response to this judgement, Ireland transposed the EU (recast) Reception Conditions Directive, in July 2018, which sets out minimum standards of reception conditions for asylum applicants. In line with the EU Directive, Ireland now grants access to the labour market and vocational training to eligible applicants. In August 2018, the Department of Justice and Equality published the Draft National Standards for Direct Provision Centres for public consultation. It is hoped that agreed National Standards will be finalised in 2019 as part of the Government’s efforts to comply with the EU (recast) Reception Conditions Directive. In June 2015, following extensive advocacy efforts, the Government published the McMahon report, which comprised 173 recommendations for reform of the protection process including Direct Provision and supports to asylum seekers. Visit the Department of Justice website for information and progress reports on the Government’s monitoring and implementation of the McMahon report recommendations from 2015 to 2017. In December 2017, Nasc published a working paper that audit’s the Government’s implementation of the McMahon report, which provides further detail and oversight of the implementation process. 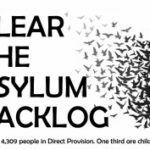 End current system of accommodating asylum seekers, known as Direct Provision. Development of not-for-profit reception system that respects human rights principles. Doras established a community campaign group ‘End Direct Provision Limerick’, in September 2014, which comprised of residents of four Direct Provision centres and concerned individuals, activists and academics in the Limerick region with an interest in the issue. The group continue to maintain an active online presence via social media. Doras and the Irish Refugee Council launched a proposal to clear the asylum backlog in December 2014. The proposal calls on the Minister for Justice to grant permission to live in Ireland to various categories of people who have been trapped in Direct Provision as a result of the failed asylum system in Ireland. Doras carried out a public awareness campaign entitled Invisible Children, in conjunction with the Irish Refugee Council, to highlight the impact on children of growing up in asylum seekers accommodation. The installation replicates a typical family room in Direct Provision.